Come join us the day before Hamvention for AMSAT Academy – a unique opportunity to learn all about amateur radio in space and working the FM, linear transponder, and digital satellites currently in orbit. The annual AMSAT “Dinner at Tickets” party will be held Thursday at 1800 EDT at Tickets Pub & Eatery at 7 W. Main St, Fairborn, OH. Great selection of Greek and American food and great company! No program or speaker, just good conversation. Food can be ordered from the menu, drinks (beer, wine, sodas and iced tea) are available at the bar. Leave room for dessert, there’s an in-house ice cream shop! Come as you are. Bring some friends and have a great time the night before Hamvention. ARISS is one of the most unique and fun facets of our hobby. We inspire generations of students and hams through our International Space Station crew and radio connections. In this eye-opening forum, learn about current and future lifelong learning opportunities for hams—via SSTV, APRS, voice repeaters, radio experiments and even robots! Hear how ARISS inspires, engages and educates tens of thousands of students each year in STEAM (science, technology, engineering arts and math) and radio science. See the next generation hardware systems we have in development. Discover how to maximize your opportunities to make ARISS connections and to hear the ISS crew directly from your ham shack. And learn about our visionary initiative to fly ham radio on the human space flight lunar Gateway. Come meet the team that have enabled millions, worldwide, to experience the fun of our amateur radio hobby. The ARISS team will present an overview and status of the program and then conduct a panel/Q&A session with ARISS panel experts in operations, education, hardware, experimentation and exploration. We also hope to have some surprise guests attending! The twelfth annual TAPR/AMSAT Banquet will be held at the Kohler Presidential Center on Friday at 18:30 EDT. This dinner is always a highlight of the AMSAT (Radio Amateur Satellite Corp.) and TAPR (Tucson Amateur Packet Radio) activities during the Dayton Hamvention. Tickets ($40 each) may be purchased from the AMSAT store. The banquet ticket purchase deadline is Tuesday, May 14th. Banquet tickets must be purchased in advance and will not be sold at the AMSAT booth. There will be no tickets to pick up at the AMSAT booth. Tickets purchased on-line will be maintained on a list with check-in at the door at the banquet center. Seating is limited to the number of meals reserved with the Kohler caterers based on the number of tickets sold by the deadline. AMSAT Status Report – Joseph Spier, K6WAO, AMSAT President, will highlight recent activities within AMSAT and discuss some of our challenges, accomplishments, projects, and any late breaking news. AMSAT Engineering – Jerry Buxton, N0JY, AMSAT Vice President – Engineering, will talk about the Fox-1 and Golf (Greater Orbit, Larger Footprint) Projects. AMSAT Education – Alan Johnston, KU2Y, AMSAT Vice President – Educational Relations will introduce the AMSAT CubeSat Simulator. 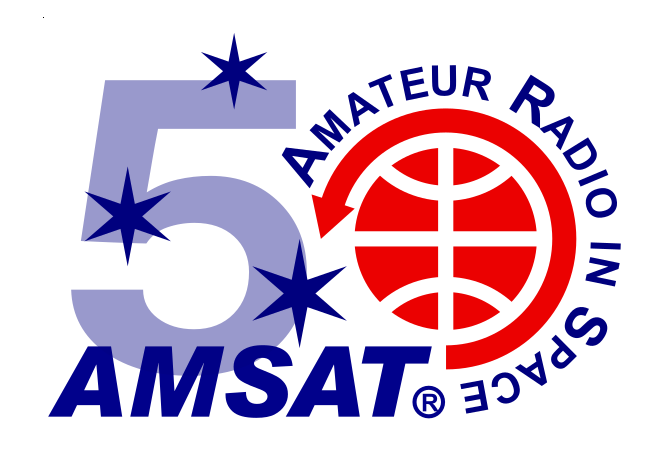 AMSAT User Services – Robert Bankston, KE4AL, AMSAT Vice President – User Services, will discuss AMSAT’s 50th Anniversary Operating Event and the new AMSAT Ambassadors Program. Amateur Satellite operation demonstrations will be held outside the main Maxim Hall (Building 1 or E1) entrance. Every day, AMSAT will be demonstrating actual contacts with the operational amateur satellites. We especially want to invite youth to make a contact via an amateur satellite. All are invited to observe, participate and ask questions. Satellite pass times will be posted at the AMSAT booth (1007-1010 & 1107-1110) and in the demo area.